The onion diagram is a type of diagram which shows the dependencies among parts of an organization or process. 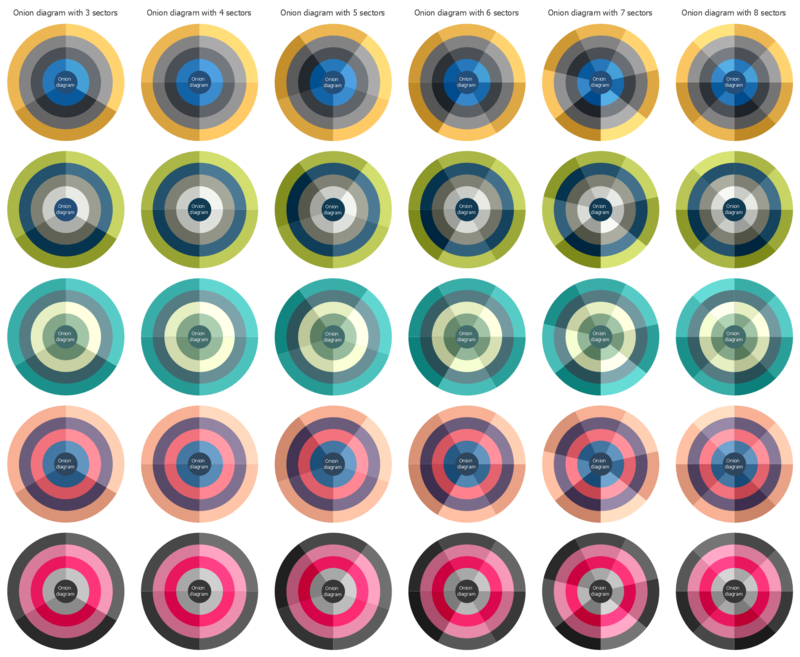 The items are displayed at the concentric circles, where the items at the bigger rings depend on the items at the smaller rings. ConceptDraw DIAGRAM diagramming and vector drawing software extended with Stakeholder Onion Diagrams Solution from the Management Area of ConceptDraw Solution Park is a professional Onion Diagram Maker. 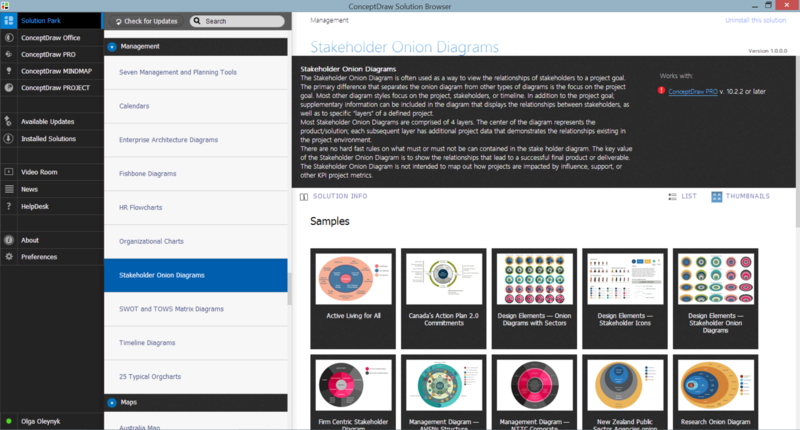 Stakeholder Onion Diagrams Solution provides 3 libraries containing 91 ready-to-use vector objects which will help design Stakeholder Onion Diagrams, visualize stakeholder analysis and develop stakeholder management system with ConceptDraw DIAGRAM Onion Diagram Maker in a few minutes. All these objects are vector, so you can resize them without loss of quality, change their color to make your diagrams more interesting, bright and attractive. Stakeholder Onion Diagrams solution is also rich for professionally designed samples and ready for filling templates. All they are available from ConceptDraw STORE which is the best for easy navigation through a ConceptDraw Solution Park. ConceptDraw STORE gives you the quick access to all libraries, templates and samples directly from it. The Onion Diagram is a type of circular diagram which consists of the core circle and concentric circles that look like the cross sections of onion. 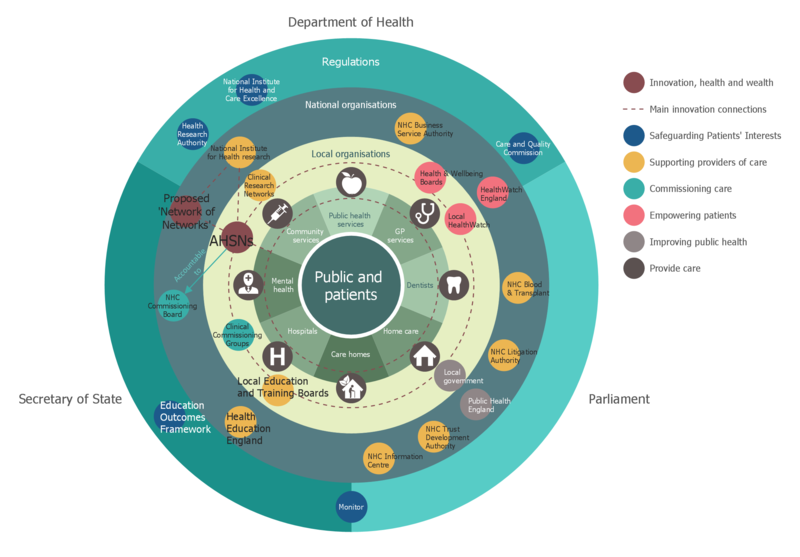 The key value of the Onion Diagram is to visually demonstrate the relationships that lead to a successful final product or deliverable. Design of Onion Diagrams and Stakeholder Onions Diagrams is a complex process, but ConceptDraw DIAGRAM v12 diagramming and vector drawing software makes it easier thanks to the Stakeholder Onion Diagrams Solution from the Management Area of ConceptDraw Solution Park, and the set of included libraries and Onion Diagram templates. ConceptDraw DIAGRAM v12 is a powerful diagramming and vector drawing software which offers the extensive drawing tools for creating various types of diagrams. Extended with Pyramid Diagrams Solution from the Marketing Area, it became the best Pyramid Chart Maker. 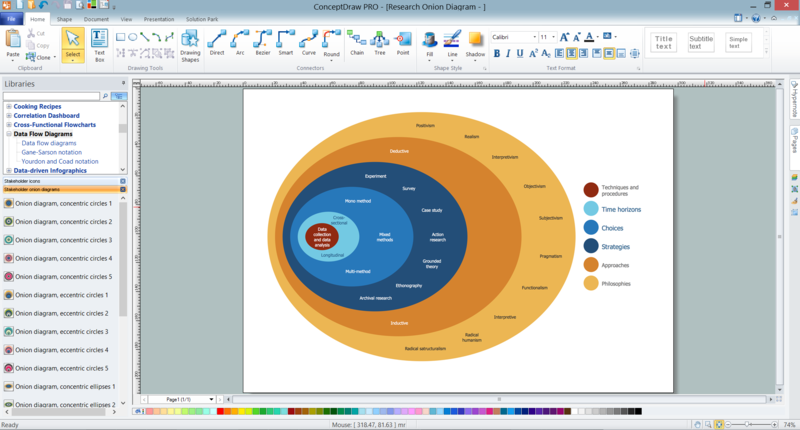 ConceptDraw DIAGRAM v12 diagramming and vector drawing software extended with Venn Diagrams solution from the "What is a Diagram" area of ConceptDraw Solution Park is a powerful Venn Diagram maker. 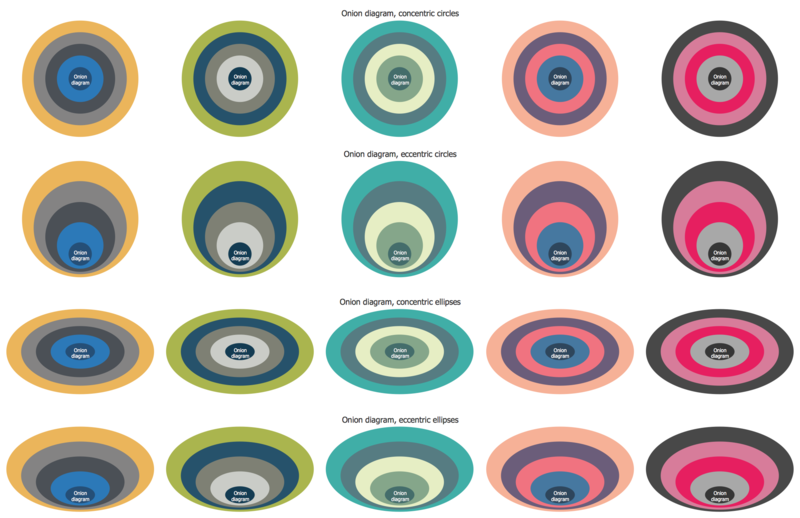 Create fast and easy your own Venn Diagrams to visualize: all the possible logical relations between sets, simple set relationships in logic, statistics, mathematics, sociology, marketing, summarize the status and future viability of a project.